We are dedicated to German automobile service and maintenance, including Audi, BMW, Mercedes-Benz, MINI Cooper and Volkswagen. Additionally, we offer a select number of used vehicles for sale. Keith first sold late model Volkswagens and Audis from a small house on James Street. Later, he moved to Auto Row, opened a full-service department and expanded to include the makes BMW, MINI Cooper and Mercedes-Benz. 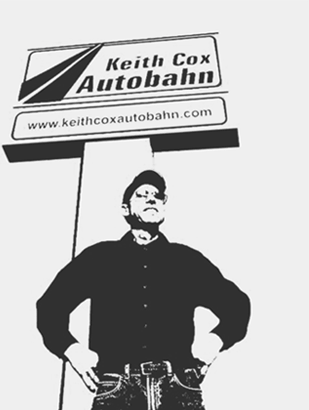 In 2008, Keith Cox Autobahn moved to our current facility at 1814 Ellis Street and purposefully shifted the emphasis from sales to service and repair. We continue to stock a few select cars for sale, but we are intentional about the care and service of German vehicles. We believe that in the long run it is better and more cost-effective to maintain a good quality vehicle than it is to simply purchase a new one. Vehicles are engineered to go for hundreds of thousands of miles if properly maintained, and we take pride in keeping those vehicles road-worthy and safe. Now Servicing Asian and Domestic Vehicles! we’re blessed with a long-term, dedicated technical team that is trained and skilled in the repair and maintenance of European cars. We have invested in the best diagnostic equipment from manufacturers and independent providers. Whether you need tires, shocks, brakes, an alignment or major repairs, we offer the highest quality auto parts and labor to get you back on the road safely and economically.